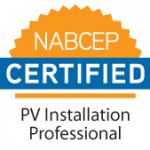 CEG helped Westchester’s cities, towns, and village reduce the time and cost of issuing building permits for roof-mounted solar systems on homes and small businesses. We teamed up with Pace University’s Land Use Law Center, who looked at the component of zoning codes that can be made more solar-friendly. The results are this handbook for municipal leaders on how to lower barriers to solar. Our goal is make Westchester the most solar friendly county in New York State, while at the same time keeping all the local home rule protections in place. Check out the Solar Progress Map we maintain for every Zip Code in Westchester County.